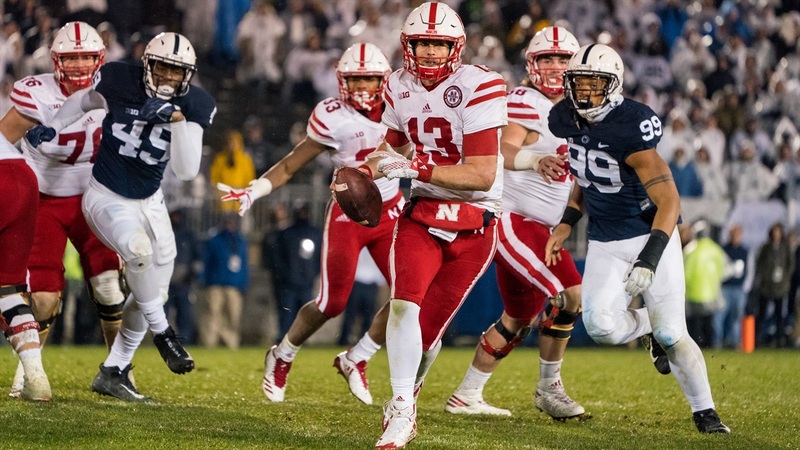 With former quarterback Tanner Lee's sixth-round selection by the Jaguars in the 2018 NFL Draft, the Huskers extended a streak of at least one player selected each draft to 56 years. But that was it; just one draftee for Big Red in 2018. After the three-day event ended on Saturday, undrafted free agents began to sign with teams as well and the Huskers did have a number of those. Brandon Vogel, Greg Smith and Derek Peterson offer up some thoughts on it all. Lee was the only Nebraska player drafted, going to the Jaguars in the sixth. Luke McNitt signed with the Falcons, De’Mornay Pierson-El signed with Washington, Tyler Hoppes with the Vikings, Chris Jones with the Lions, Joshua Kalu with the Titans, reportedly, and Nick Gates with the Giants, all as undrafted free agents. Were you surprised only one member of that group got drafted? BV: When Saturday started I thought two Huskers might have their names called, but I wouldn’t call just having one surprising. I try not to read too much into draft results and what they “say” about program health––it’s far from a 1:1 relationship in my mind––but this might be closer to that. The past two years indicate the Huskers weren’t that good in recent years, and, well, they weren’t. GS: No, I wasn’t really surprised by the number. You could make the argument for many of those prospects to be drafted but all had a dreaded “yeah but” at the end of the argument. DP: Just from a numbers standpoint, I was surprised it was only Lee that heard his name called. I thought Nebraska had a good shot at getting two guys in. I’m still a little conflicted on who that second guy would have been, I go back and forth between Gates (I think some team is going to take a shot and turn him into a guard) and Kalu, but I would have guessed two nonetheless. In terms of Lee’s slot, that’s not really a shocker; five to seven was the range so six feels as expected. Among the undrafted free agents, who is the most likely to stick with their respective team? GS: I’ll go with Joshua Kalu. Being versatile is the name of the game when trying to stick on a roster as an undrafted free agent and Kalu can help a team in a number of ways. BV: I’m with Greg, Kalu’s the pick when you consider he worked his way into the secondary rotation as a young player by making plays on special teams. Beyond him, I think McNitt has a great shot to hang around for a while. DP: Kalu was the guy I was going with until I looked at what Tennessee has done with its roster this offseason. Feels like there might not be a role for him on a team that’s looking to go deep in the postseason. Pierson-El is interesting to me for two reasons: he’s a potential home-run hitter on special teams (if you want to, you know, block for him) and he will be in a room that doesn’t really have an established guy. This marks two years in a row Nebraska has only had one player drafted – and Lee’s sixth-round selection is even later than Nathan Gerry’s fifth-round pick last year. How do you feel about the draft streak at this point and will we see more Huskers in the future? BV: The streak, as with most streaks, only sort of represents what it’s meant to represent. In this case, the streak remains alive thanks to a Tulane transfer who played 12 games in Lincoln. Kind of feels like a technicality. But, if Chris Jones doesn’t get hurt and has the senior year most thought he would, he probably gets drafted and the streak continues in a more organic way. There’s a good deal of chance involved. I do think Nebraska will fare better in forthcoming drafts, particularly on the offensive line. GS: I think the streak will continue next year as Stanley Morgan Jr. should be drafted ahead of where Lee was selected this year. I also think we will start to see an increased number of players being put in the league thanks to Frost and Duval. DP: Brandon hit the keyword: technicality. That’s what this one felt like. (Side note: I’d be curious to see what college Lee would name on a broadcast.) But you’ll definitely get Stanley Morgan Jr. in the draft next year and I think in the coming seasons you’ll start to see a good number of running backs and linebackers. I think back to those Oregon offenses that never had a ton of pass-catchers go on to the league but were always good for a running back. The linebacker spot should theoretically be a pipeline to the pros because of the developmental potential under Barrett Ruud and Jovan Dewitt and the playmaking potential in this defensive scheme.